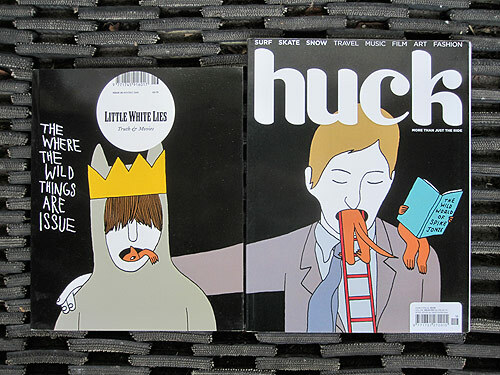 Two magazine covers from 2009 was Geoff McFetridge’s artwork for Huck Magazine (bi-monthly lifestyle magazine) and Little White Lies (cinema magazine with amazing covers). I just love this kind of stuff. Graphic&typographic design? Not so much. GCM #04 flip thru from Gym Class Magazine on Vimeo.